I have long been interested in getting into Home Automation ever since X10 came out many moons ago. Having watched, researched, and debated several of the major HA vendors and products, I finally decided to take the plunge. The choice was not easy – products based on UPB or Z-Wave seemed to provide a higher reliability than others…but they also came with a higher price tag. X10 essentially died off…Insteon has a great range of products, and is looking to move everything to Dual-Band – or sending signals both wirelessly and over power line. I was concerned about the reliability of the protocol as well as the failure rate of the products…but both seem to have improved over time (according to other reviews and forums). So the first small purchase was a Dual-Band OutletLinc Dimmer and an 8-scene RemoteLinc 2. 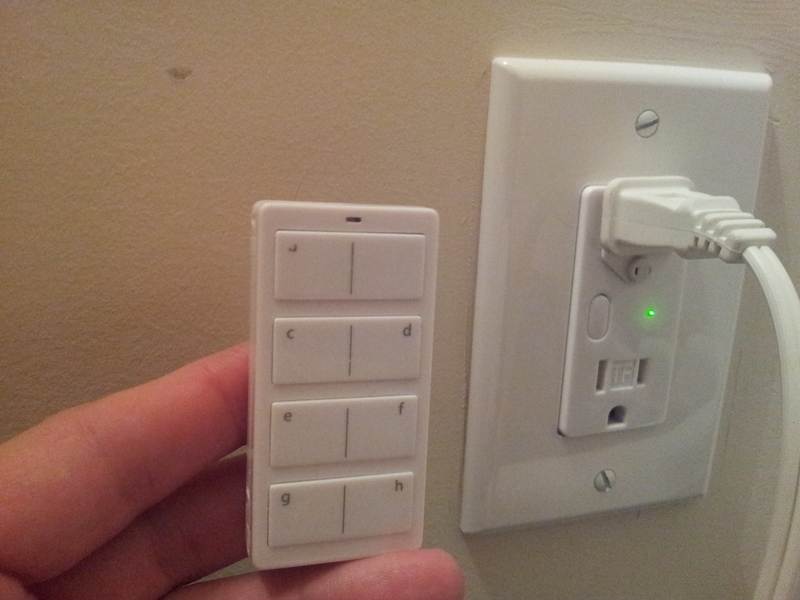 This would provide some insight into the functionality of the dimmers available as well as the range and functionality of a controller…and being that I’ve been replacing all of the contractor-grade standard outlets with Decora TR outlets, it was an easy choice. Note that the top row of letters is already rubbed off…not too big of a deal. Also, DON’T throw away the outlet key for the controlled outlet – I had read some people did this then complained about the product…it is clearly marked and its purpose makes sense. Besides – how often do you unplug\plug in a lamp, anyway? Initial programming was a bit tricky. Again, this is my first Insteon device, so this is to be expected. I should have put it in 4-scene mode to begin with. Overall we’re pretty satisfied – the dimming is VERY smooth. The initial programming would have been much easier if I had put the RemoteLinc into 4-Scene mode to begin with – this essentially turns each row into an on and off button instead of trying to toggle on a single button…I’m not really 100% sure I understand the standard 8-Scene mode – nor do I think it really makes sense with just 1 controlled device. I think the range issue will be resolved if there were one more Dual-Band device in the room – which is the plan.